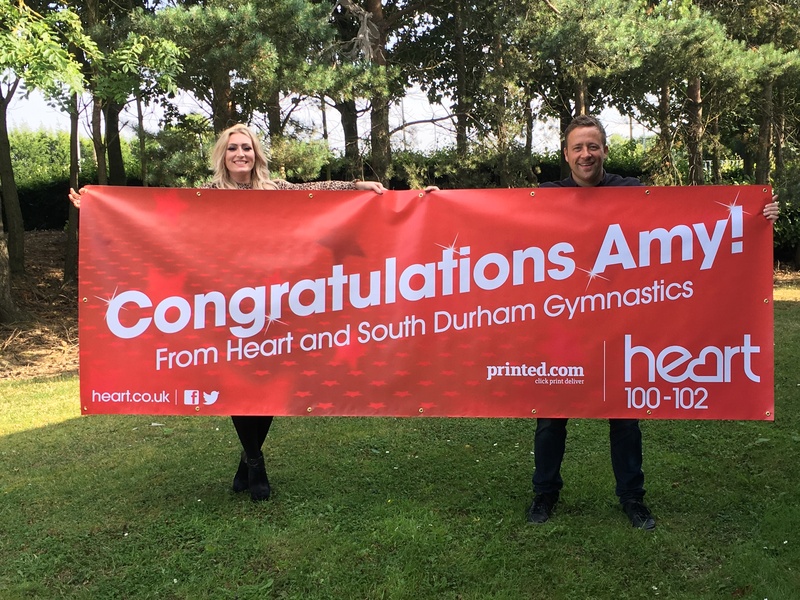 After a banner celebrating Bishop Auckland Olympic gymnast Amy Tinkler was stolen, Heart's replaced it! The 16 year old will be heading back to her club, South Durham Gymnastics, after picking up a bronze medal at the Rio 2016 Olympics. Paul Anderson, trustee at her gymnastics club, originally had a banner made for her return, but it was stolen. Heart's Justin and Kelly heard about it and decided to get a new one made up for her! 16 year old Amy Tinkler from Bishop Auckland, who won bronze at Rio 2016, is back in the North East later - but a banner marking her homecoming has been taken. 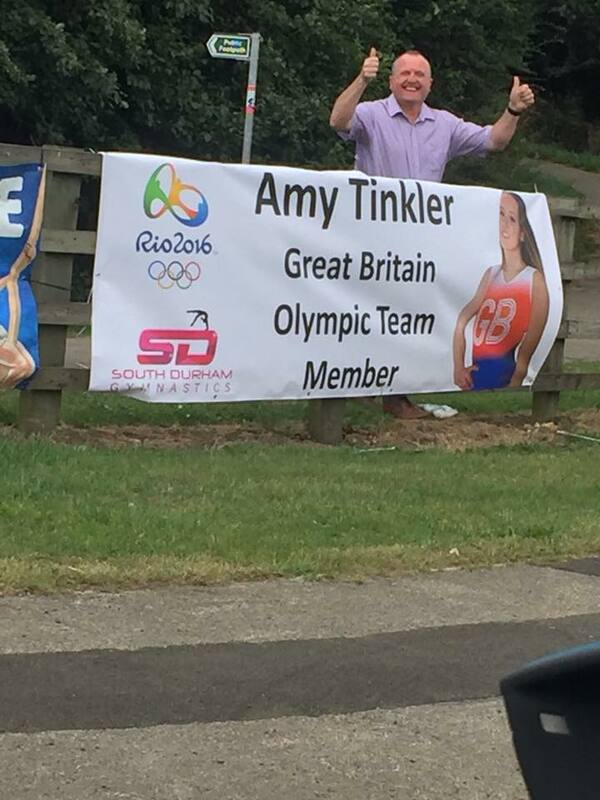 "With only hours to go until our Olympic Medallist Amy Tinkler arrives home it's with great sadness that some thieves have taken down the banner we had put up on Bracksfarm roundabout at the entrance to Amy's estate!!! We were very excited for Amy to see how much the town was getting behind her and would like to ask anyone who perhaps knows the whereabouts of the sign to kindly return it before midnight!!! If you have taken it as a souvenir then please take it back and perhaps we could arrange for it to be signed and given back to you once Amy has returned home! !